Some of our last research works has been presented at the annual meeting of the SmallMolecule NMR Conference (SMASH) that has been taken place in La Jolla (USA) from 11thto 14thSeptember 2016. Teodor Parella presented two posters. 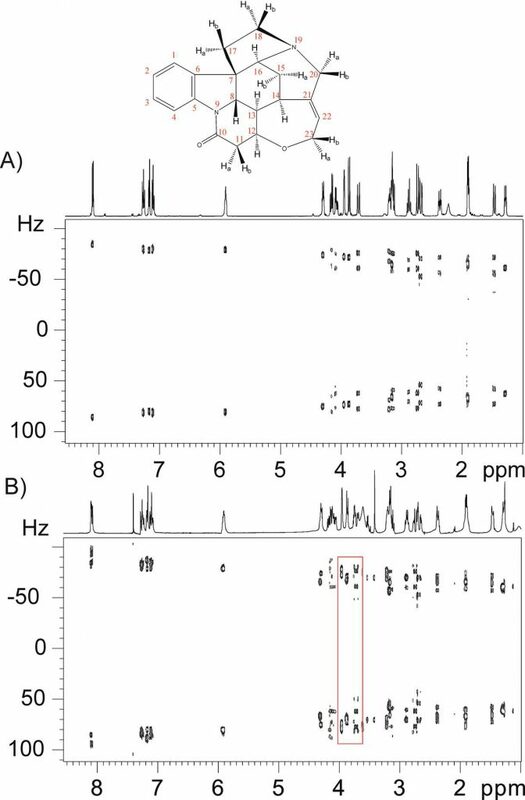 “In situ determination of 1DCH and 2DHH RDCs from a single 1JCH/2JHH -resolved NMR measurement” of Núria Marcó García, Roberto R. Gil and Teodor Parella. Abstract: A fast RDC-assisted strategy involving the simultaneous determination of isotropic (scalar) and anisotropic (total) interactions is reported. The concerted use of individual 1DCH for all CHn multiplicities and 2DHH obtained from a single 1JCH/2JHH-resolved NMR spectrum offers an unambiguous assignment of diastereotopic protons and an efficient discrimination between all eight possible diastereoisomeric structures of strychnine which contains six stereocenters. Figure: 500.13MHz JCH/JHH-Resolved spectra of 1 in A) isotropic CDCl3 and B) anisotropic PMMA-CDCl3 (2H nQ(CDCl3)=26 Hz) conditions. The projections along the F2 dimension are the conventional 1H spectrum in isotropic conditions and the 1H-CPMG spectrum in anisotropic conditions, respectively. 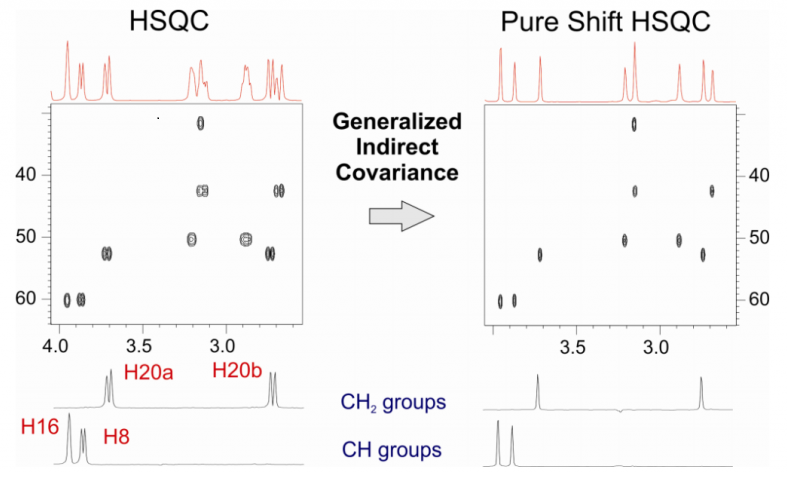 “Pure shift NMR covariance” of André Fredi, Pau Nolis, Carlos Cobas, Gary E. Martin, Teodor Parella.